We all remember Royal Sporting House for its iconic blue signboard. But that will soon be a thing of the past as it changes its signboard to black. In fact, this change has already been implemented at six out of its 28 outlets so far, including VivoCity, Clementi Mall, Causeway Point, and its newly-renovated flagship store at Tanglin Mall. Commenting on the take-down of the old blue signboard, David Westhead, CEO of RSH South East Asia, said that it had a very “1980s feel”. “We wanted to refresh the store, but the DNA of the store still remains the same,” he told The Straits Times. The 8,000 square feet space has recently undergone a facelift, and its interior design is a stark contrast from its other outlets. It now features open ceilings, black fixtures, wall panels, as well as concrete flooring to exude a modern, yet tough and sporty vibe. It also boasts several experiential facilities. 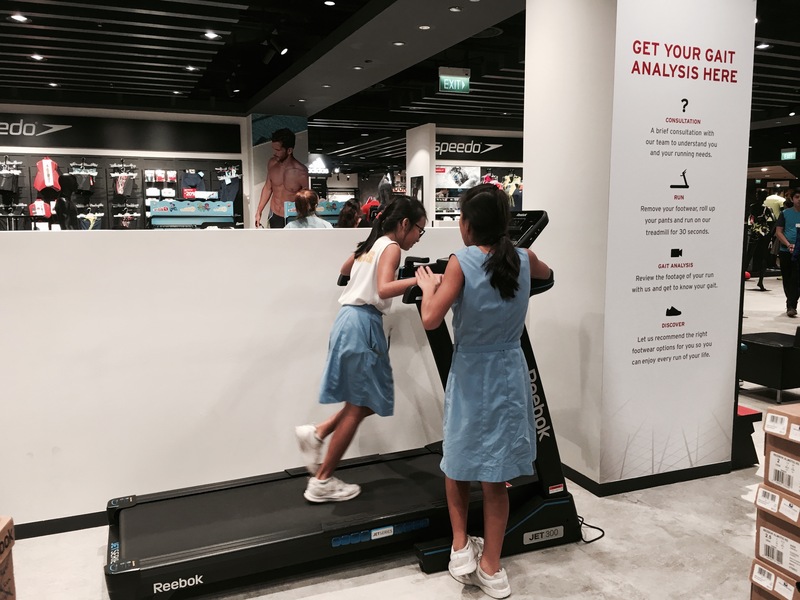 Customers can now have a consultation with the service staff to help select the best pair of running shoes for their needs before testing it out on a treadmill in-store for a complimentary gait analysis. 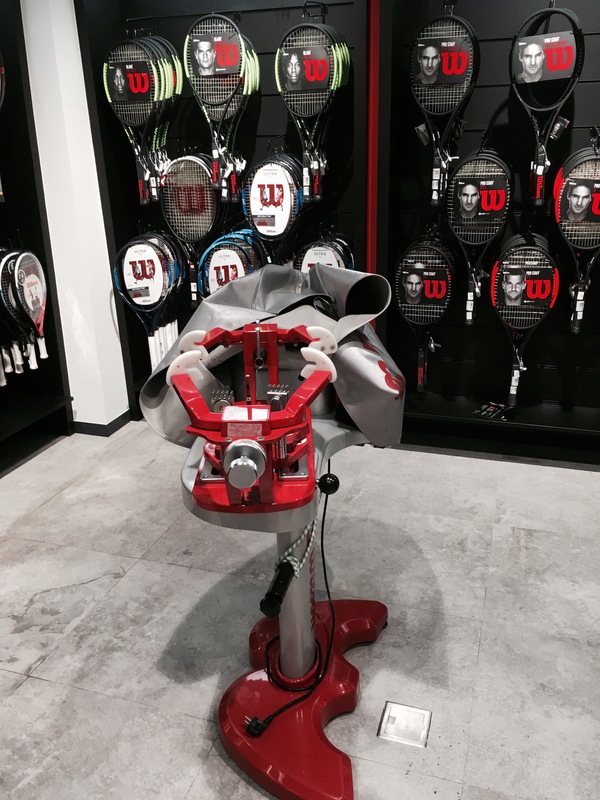 Additionally, an in-house specialist is available to help recommend the right racket to customers, as well as offer re-stringing services for tennis rackets to them for free. The company is also in talks with several brand partners to host in-store monthly events such as running clinics and talks, as well as yoga workshops, to help promote fitness as a lifestyle to its customers. According to Westhead, the facelift for the local stores was necessary in order to meet changing customer needs and to better appeal to younger consumers. As the shopping experience increasingly becomes the most important differentiating factor for retail companies, Westhead understands that there’s a need for the company to step up and take things to the next level so as to offer a more seamless and holistic shopping experience to its consumers. In line with its rebranding, Royal Sporting House also streamlined its selection of sports brands to focus on the running, training, tennis, and swimming disciplines. Formerly, its regular stores typically retail basic to mid-range performance and lifestyle products from over 20 brands, but now its product portfolio has gone premium. 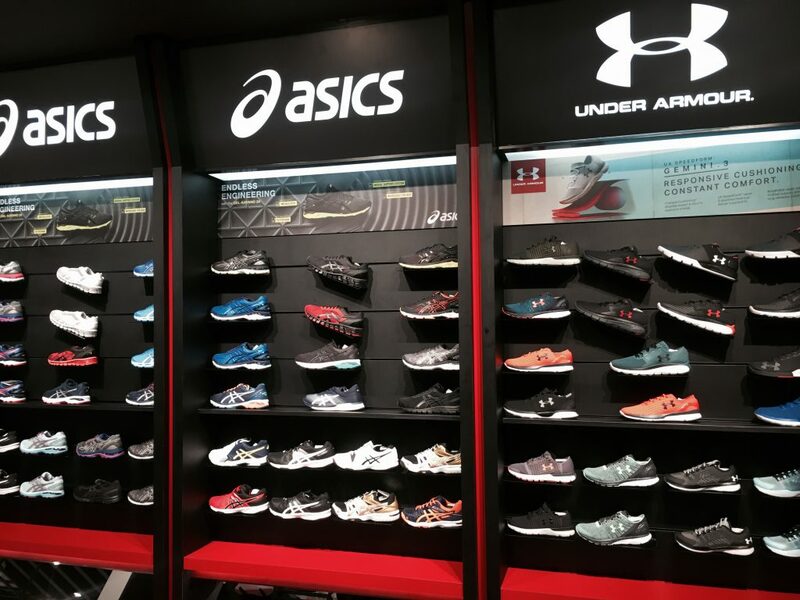 It now houses key brands such as Nike, Adidas, Under Armour, Reebok, Asics, Wilson and Speedo; offering customers a deeper product selection that includes sporting apparel, footwear and accessories. These brands are arranged in a shop-in-shop format to recreate a singular brand experience within the store’s multi-brand environment so customers can easily browse different products across different brands. “Streamlining our brand offering in-store allows us to go deeper in what we offer within the performance categories of running, training, tennis, and swimming. This is a direct reflection of the sporting interests of many Singaporeans,” said Westhead. 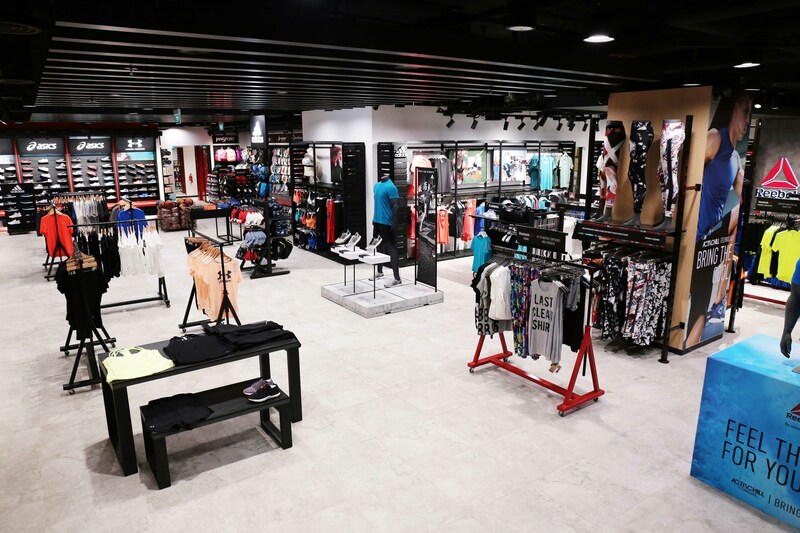 Westhead also expressed that having multiple brands under one roof serves as its differentiating factor, adding that carrying big international labels like Nike and specialist brands such as Hoka One One under them has helped to edge out their competition. Its business strategy for its brick-and-mortar stores is indeed clear cut, but what about online? Westhead admits that Royal Sporting House is slow in jumping onto the e-commerce bandwagon, but he is confident that they are not losing out in any way. Having an e-commerce platform may be “important” to meet new customer demands, but it is an “add-on service” rather than a disruptive force that needs to be addressed urgently, he told Channel NewsAsia. Currently, Royal Sporting House only has a website, but it will be rolling out online shopping and accompanying delivery services next year. Despite the company’s sluggish retail sales over the past 3 years, Royal Sporting House has invested a grand total of an undisclosed 7-digit figure to refurbish the store. Westhead is undeterred by the hefty sum, and sees it as an essential investment instead. “When I first joined the organisation two years ago, my assessment was that there was a lack of attention and innovation for a lot of the Royal Sporting House stores. It was fine going into a store 15 to 20 years ago and finding products piled up high to the ceiling, but nobody wants to shop in those kind of stores today,” he said. 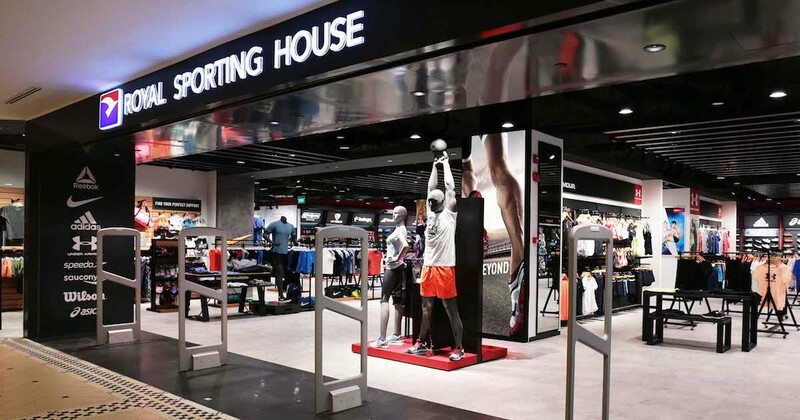 Royal Sporting House, owned by Dubai-based conglomerate Al Futtaim Group, entered the Singapore market in 1977 and it has grown to 30 stores islandwide today. Besides Singapore, it also has a strong foothold overseas such as the Philippines, Hong Kong, and the Middle East. Over the next five years, the facelift will be carried out at the remaining stores in Singapore, and it is also thinking of expanding some of its smaller locations in the heartlands. A new 3,000-square-feet store at ION Orchard is also in the works. It is slated to open in October and will feature sporting products tailored for the tourist crowd at the shopping mall. On a global scale, Westhead said that Royal Sporting House is entering the Vietnam market, and eyeing Myanmar and Cambodia.